Today at Old Navy Ella climbed up and said, "I'm just pwe-tending that I live here with them." I love how she's holding their hands! I think that's the cutest thing I've heard/seen in a long time!!! that is adorable...and so is the new look of your blog...LOVE it! Ha ha ha! I took me a minute to spot her. Yea, I'm old. Kids are so funny aren't they! So entertaining! 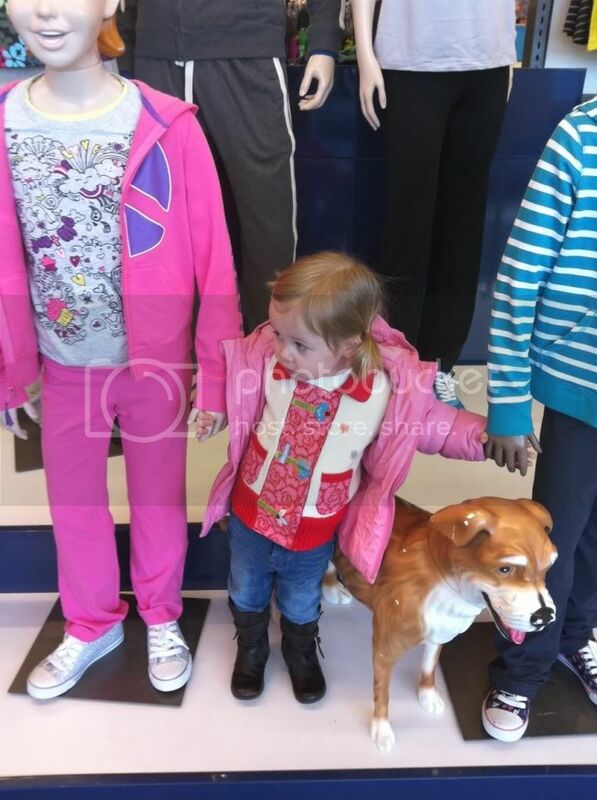 Avery LOVES the fake dog at Old Navy.